Audience growth is an endeavor every entity, musician, business, artist, and random guy on youtube is engaged in. Every hour of every single day. For musicians, the use of cover songs posted on their websites and done in videos (in particular) has been a great way to connect with prospective new fans, and introduce them to your original music. There is another way, and it’s a fairly familiar method: the FREE song giveaway. Noisetrade has been incredibly successful with this means of audience growth, whereby an artist can post a single, short EP, or even a full album on their site for free download. The listener only has to provide their name and email in exchange for the free music. I’ve used Noisetrade for several years to discover great new artists, and then feature the better songs on The Appetizer Radio Show to promote the artists. Other radio outlets do the same. Some artists are turned off at the thought of “giving their music away,” so they pick one of their lesser songs to offer to potential fans. How would that work for a bakery? This is where the Free Cookie is so powerful. A local bakery has a very specific market, in many ways restricted to location and confined by proximity to a major grocery store chain. The comparison works well, because as a DIY or indie artist, you have some confines that an artist on a major label or even a larger indie label doesn’t have. How you attract new fans is very similar. Here’s how great bakeries do it. Great local bakeries offer a free cookie. The bakery builds its reputation for having some truly excellent cake, particularly their lemon mousse crepe cake, and their family recipe sopapillas. Both of those offerings are a little more expensive, but if you get a chance to have a slice or a piece, you’ll buy the whole thing and arm wrestle your coworkers or family to keep them away from it. The bakery also serves other deserts and caters primarily to an audience who uses their offerings for parties, gatherings, and the morning breakfast desert try. A cup of coffee and a croissant is perfect to take in to work. Yet, the local bakery has to keep working to attract new customers, because settling for only the same people won’t allow them to grow, expand, and set up that other bakery on the other side of town, or even the one 30 miles down the highway in a different town, despite the desire of that town’s residents for their unique foods. How does the bakery use a free cookie to get new customers, and in essence grow their audience? That free cookie is outstanding. It’s chocolate chip, the most popular and appealing cookie. It’s soft, not hard, fresh out of the oven, and the chocolate chips are of a quality that is not generic. The cookie tastes so good, you inherently want to try everything else in the store. Suddenly, price isn’t a consideration anymore when it comes to that chocolate brownie cake, or the angel food cake with swirly icing. You’re sold on the rest of the baker’s offerings because that cookie was so amazing, everything else in the store must be just as good or better. In reality, the cookie recipe for the baker has been worked on and crafted for years. She makes those cookies all the time, has the process down to a matter of minutes, and has easily trained her assistants to make them with little effort. That cookie is amazing, but its creation daily takes little effort and minimal cost. Yet it turns casual individuals into die hard customers. 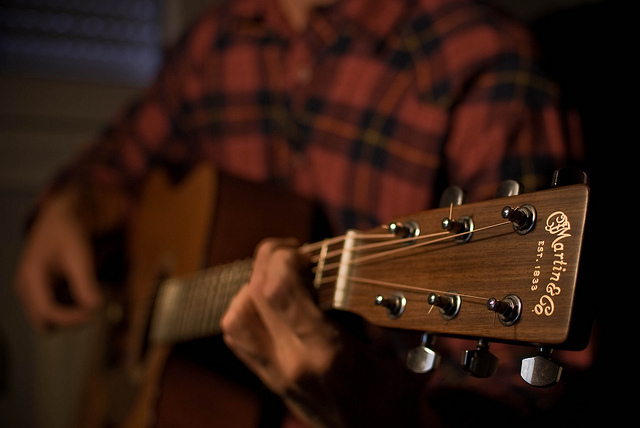 Here’s where your free song boosts your audience growth. Give away the track that has been in your repertoire for a little while, one that you are fairly known for with your core audience and is regularly talked about amongst your most ardent fans. That’s the one you can play at any show or on when asked on the spot and it be a wonderful experience. Maybe you have a few different versions of it, and you can cycle through those variations every few months to give away something a little different. Here’s where the responsibility to have the amazing cakes to truly wow your prospective fans comes in: If the rest of your offering isn’t amazing ,the free song is the best thing about you. If the free song is the best thing about you, and your other music doesn’t scream “AMAZING,” there is some development that needs to be done with your sound and songwriting. The majority of the rest of your music catalog should be great music, music that hooks people into wanting more. Ultimately the baker is using the free offering to not just get someone in the door. She wants to create an opportunity for a new soul to experience her crafted and unique offering and build a connection with that person. The free cookie serves as the perfect introduction point because she knows her chocolate chip cookie is great. She also knows that the rest of her cakes, cookies, pies, and everything else is truly fantastic, and it’s just a matter of getting someone in the door to have an experience that will make them a die hard fan. She’s also fairly confident that once someone tries her food, they won’t settle for a second rate knock-off at a grocery store or general food outlet. That’s the same mantra for indie musicians who know that what they offer is Top-Shelf stuff. The free song is the teaser that leads to the exploration of your songbook. Give away an amazing cookie and you can convert a fan instantly. An average cookie (free song) might get them to look at a video or something else on your site, but chances are the mildly sweet flavor and crumbled pieces will just make them want to go find a better cookie elsewhere. Instead, make that free song the best cookie that they’ll experience all day, or all week. And invite them into your greater songbook with it. Provide an opportunity to experience even more great sounds and stories with the rest of your offerings. When that free song knocks their socks off, they’ll not only flock to the rest of your songbook, but they’ll share your music with their friends. That’s the organic growth that every musician dreams of. All it takes is one fabulous and free cookie. Do you know if your music is of the caliber to convert a casual listener into a die hard fan, even if you gave away your best song? Have you tried this in the past and it work, but now you’re considering doing it again? Or have you tried giving away music before and it didn’t work how you wanted it to? Let’s talk about how your free song (cookie) can bring in new folks and boost your audience. Contact me in the box below. *Note: All cookie and baking images are from my better half-Mrs. Smith. She’s not officially a baker by trade but has built a giant reputation for amazing food. Her free recipes on her website have led to massive growth in her audience and business. Read more about her HERE.